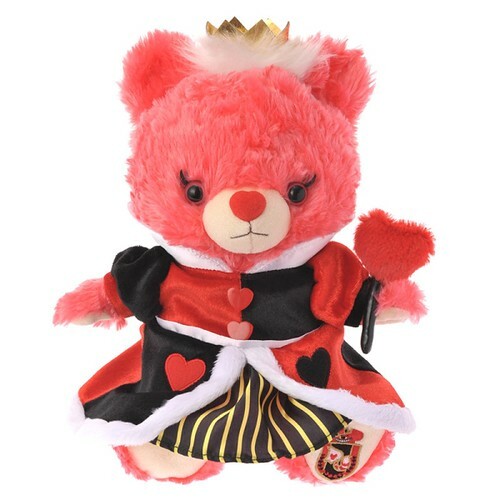 The Wonderland Unibearsity line-up is wrapping up with the arrival of Her Majesty, in all her ruby glory. 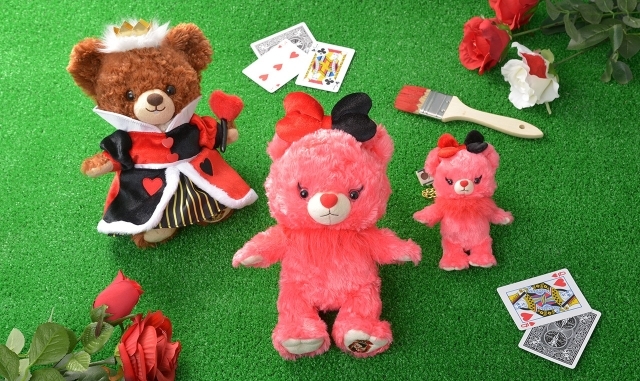 A befitting grande finale to the long run of the Wonderland Unibears, The Queen of Hearts’ Red Berry will be making her debut in Disney Stores across Japan this coming Tuesday, June 21st. 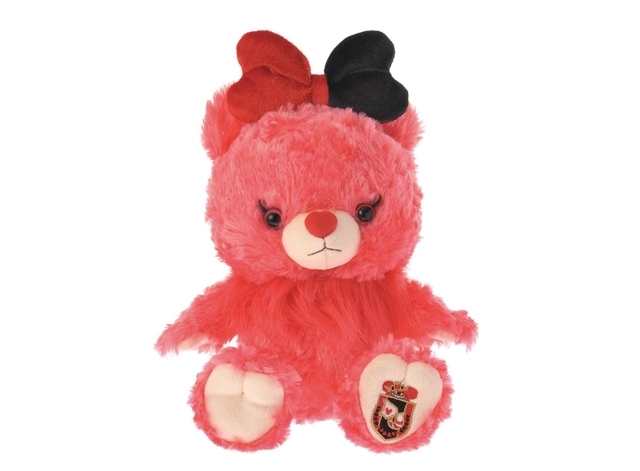 Red Berry sports a fashionable red and black bow, the same colours as the Queen. Her body is made up of a candy-red hue and her eyes have a pink tone. 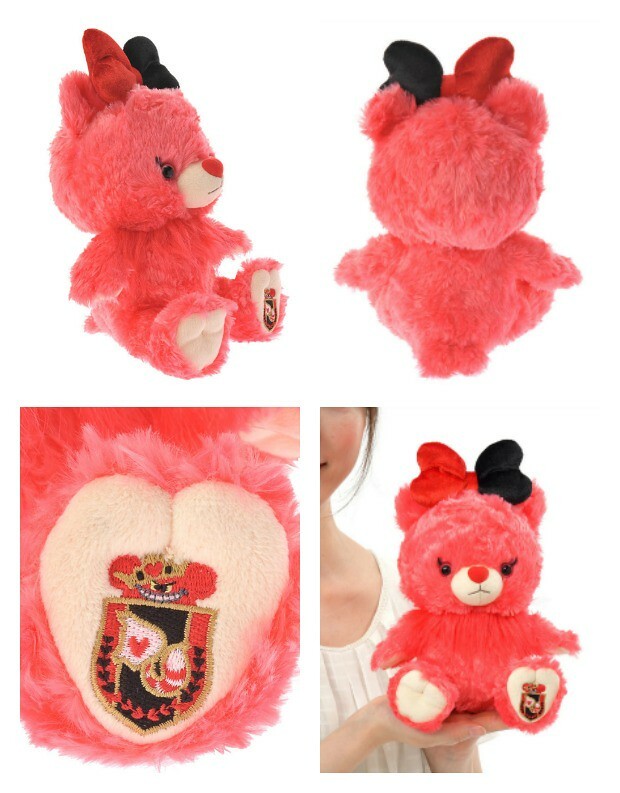 Several heart motifs can be seen on Red Berry including the shape of the bow, her feet pads and, most charmingly, her button nose. As with all Wonderland Unibears, Red Berry’s left foot bears the Wonderland Unibearsity crest – the initials “DU” with the Cheshire Cat’s tail making up the “U”. She is the same size as Mon, Blan and Apricot (Chip & Dale’s and Clarice’s Unibear). 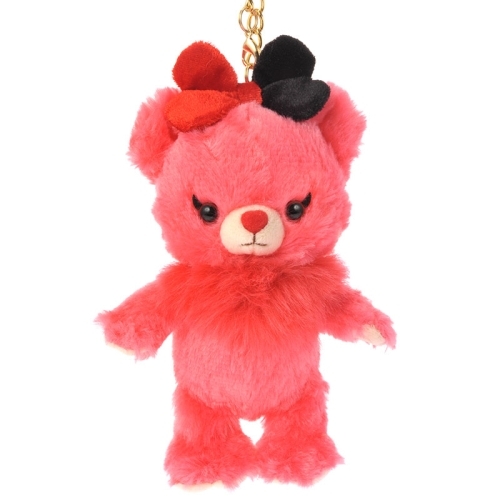 Along with the unibear, Red Berry will also be fashioned as a keychain. It will also bear the famous Unibearsity crest along with Professor Ludwig Von Drake’s signature. Without further ado, Her Majesty in all her red glory. Images and Merchandise © Disney. All rights reserved.